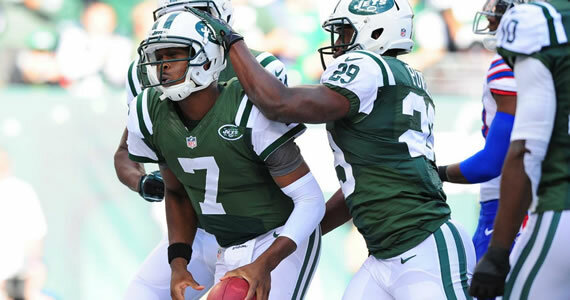 Big League Clu reviews the New York Jets’ big win against the Buffalo Bills. And we’re back! Now that was a game if I ever saw one. Great win for the Jets, as they beat Buffalo 27-20 and now stand at 2-1 (can you believe that!?). We have a lot to break down in regards to how the Jets got their second win this past sunday. Of course, Gang Green still has some kinks to work out, but hey, for the first time all season long, I am feeling a little bit optimistic as a Jets fan. With all that being said, here’s what happened against the Bills on sunday. Like I said, there was a lot of good things that came out of this game. First of all, the offense found a way to win. Starting from the first possession of the game, they looked good. Even when they gave up a big lead in the third quarter, rookie QB Geno Smith made plays to get New York back in the game. Smith finished the game 16 of 29, with 331 yards passing, 3 total touchdowns (2 passing, 1 rushing) and 2 interceptions. Although he still makes too many mistakes (he now has 6 INTs on the season), it wasn’t a bad game for a rookie. Smith also connected with his big targets, and WR Santonio Holmes looked like he’s finally back to full strength. He led the team with 5 catches for 154 yards and a score. Stephen Hill added 108 yards on 3 catches and also had a touchdown. But let’s not forget about the forgotten running back Bilal Powell, who had a great game too! Powell finished with a career high 149 yards on 27 carries (roughly 5.5 yards per carry), which is what I like to see from the Jets offense. Another positive from the game was the pressure that the Jets defense put on Buffalo. In the first two games, the Bills only allowed EJ Manuel to get sacked twice. The defense did a great job of keeping pressure on the Bills offensive line as well as Manuel, who was sacked 8 times in the game (most in a game since 1988). Manuel didn’t throw any interceptions, but was held to 19 of 42 for 243 yards passing and just one touchdown. So, it looks like the defense did their part (kinda…more on that in a minute). Now you would think “what could possibly have been bad about this game? They won right 27-20” Oh, I found something to talk about. My main concern is Smith. Before the game, Rex Ryan mentioned that Geno was the starting QB for Week 3, and that they would go from there. Now does Rex know something that we don’t? Is he trying to get inside Geno’s head to maybe make him play better? Surely Rex doesn’t think that Matt Simms will be going up against the Titans in Week 4, does he? Although I am sure he was just saying it just to say it, Rex did have some merit in why he said that about his rookie QB. Geno does have 6 interceptions in 3 games played, and he hasn’t been consistent from week to week. Everyone remembers those 3 INTs he threw in the fourth quarter to essentially lose the game against New England. This week, yes, Smith threw for over 300 yards, but he did make some bonehead plays, throwing into double coverage and trying to make plays out of nothing. So the learning curve is still there for Geno, but I really do not think that playing a third-stringer would be the right move for Rex. I will say this about Geno, I like him a lot. He gives the Jets a different look that they have not had in some time, and he is somewhat of a mobile QB and has made a lot of good plays in his short time as starting QB. I would like to see him cut down on his mistakes, because he throwing too many interceptions, and that will burn the Jets later on this year if they are still trying to be competitive. Hopefully, with time, improvements will come. What I really want to talk about is the penalties! Ugh, what an awful awful game. 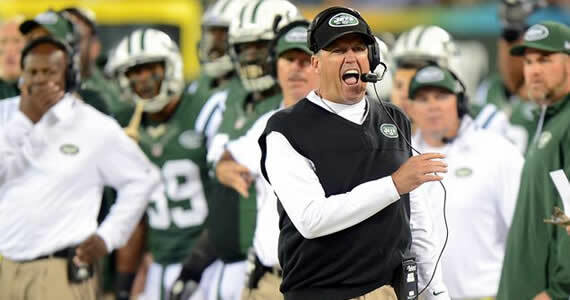 I am almost certain that Rex will be having nightmares about yellow flags being thrown at him in from every direction. 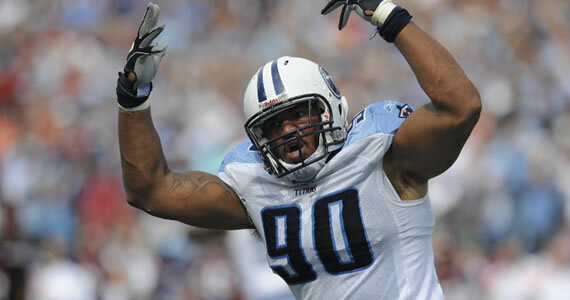 The Jets were hit with 20 penalties… 20! That’s the most penalties against the Jets in a game since 1987. Only the 1951 Cleveland Browns have ever had more than 20 penalties called against in a game they still wound up winning (they had 21 penalties). There was one instance in the fourth quarter that drove me absolutely crazy. Buffalo was down 20-12 and driving up the field, when EJ Manuel hit Stevie Johnson. Somehow Johnson did something to irk Jets defender Kyle Wilson, which led to the Jets getting hit with four consecutive personal foul/unsportsmanlike conduct penalties. Three of them were on Wilson, who apparently didn’t understand the rules, and he was benched shortly after committing the third consecutive one. Buffalo ended up getting a touchdown and a 2-point conversion to tie the game. I was completely disgusted with the way that Wilson handled himself when that happened. Not only was he playing selfishly, he cost his team the lead. Luckily for him, the Jets still ended up with an improbable victory because of some big plays by Smith and Santonio Holmes. There wont be too many games where the Jets can get 20 penalties called against them and still eek out a win, but for now I will take it. And, if I were Kyle Wilson, I would make sure that the last thing I do against Tennessee is get hit for anymore personal foul penalties, especially because I am sure that Rex won’t tolerate that type of thing again. Ok, enough with the bad talk. Let’s look on the bright side. The Jets sit at 2-1! 2-1, everyone!!!! If you had told me that after the first three weeks of the 2013 NFL season the New York Jets would be 2-1, and our “big blue” counterparts would be sitting at 0-3, I would think you had suffered brain damage. But that is where we stand, so Giants fans, let us have a our moment! Now, that being said, we do have to go into a tough game at Tennessee in Week 4. The Titans’ defense is no joke, just ask Mark Sanchez, who turned the ball over five times against the Titans last year in a game that basically dashed the team’s playoff hopes. However, for once I can look at the glass half full as a Jets fan! And hey, maybe I’ll just throw on my Jets gear with pride this Sunday! Hopefully Geno can build off the success he had against Buffalo and they can continue to get some of that ground and pound running attack with Bilal Powell. But most importantly, Rex needs to make sure that they do not, and I repeat, DO NOT, give up so many penalties. Just because we were able to get away with that once and get a win, doesn’t mean that will happen again.